If you’re trying to bootstrap your startup or just a newer company still gaining traction, you may want to consider a short-term or month-to-month lease in order to give yourself room to expand before committing to a space you’ll likely outgrow. 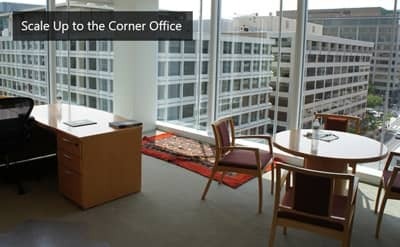 If you’re part of a branch of a larger corporation, it’s worth considering the needs of your relocated employees when searching for an office space that would give the most satisfaction. Is the location reasonable for their respective commutes? Do your workers tend to work from home a fair amount of time? How important is a dedicated space for meetings with visitors and clients? These are all things to take into consideration as you tour potential office spaces. 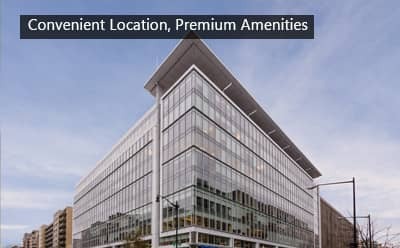 Ultimately, you know your company and your employees best, and while a broker can bring you to the right place, if you do some background checking on your own and come to the table with at least a general understanding of how your needs relate to a potential space, you won’t even need to sift through the app store to get your new office location sorted. And what’s more, you’ll end up making a smarter and more well-informed choice. 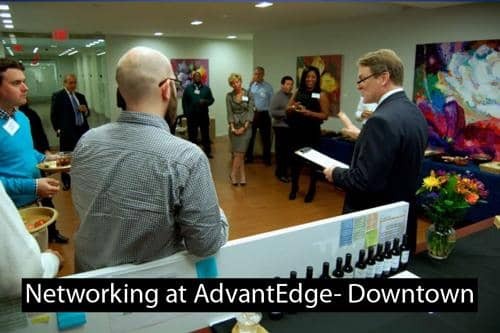 At AdvantEdge, we’ve worked with small and large business alike and offer unmatched flexibility when it comes to finding workspace. For more information on how we can help you relocate, grow, or achieve whatever goals you have as a company through our workspace, schedule a tour to see how it all comes together.